The working conditions of a cement plant do not foster long service life for machinery, due to dust, heat, moisture and vibration. Therefore it is essential that every opportunity is taken to improve the efficiency and reliability of the plant. Mary Fletcher reports. Bearings are common to most pieces of equipment, so by concentrating on improving the service life of this critical component, significant savings can be made in maintenance and production costs. 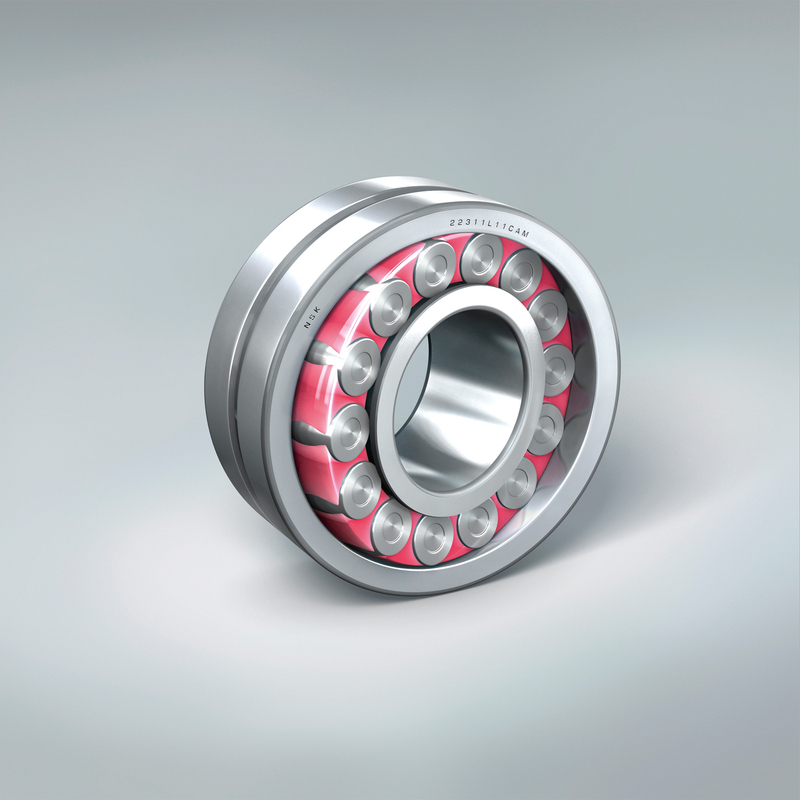 NSK Europe has developed several materials and technologies to improve bearing performance. Poor lubrication and high contamination levels are responsible for 80 per cent of premature bearing failure and therefore make up the two key factors in determining bearing life. The cement industry uses both wet and dry processes to manufacture the finished product, resulting in both dust and moisture causing problems for the bearings. Cement dust is hygroscopic, meaning that it absorbs the lubricating oil from the bearing grease, resulting in a grinding paste inside the bearing. In such environments, general maintenance and re-lubrication is essential to ensure continued reliable performance, however, fresh lubricant can quickly become contaminated and cause failure itself. Where this is the case, pure maintenance will not resolve the issue; there is a requirement for materials technology, which can take the form of NSK's Hi-TF and Super-TF bearing materials. NSK has developed these special bearing steels specifically for harsh operating conditions and they have proven very effective already in both the steel and mining industries. Following on from this success, they have been made available for products used in the cement industry in the latest ranges of spherical roller bearings, high capacity EM and EW series cylindrical roller bearings, as well as tapered roller and ball bearings. NSK has examined the main issue of contamination of lubricant, literally under a microscope. The debris particles become indented on the bearing raceway, causing stress concentrations at the edges of these indentations. Secondly, if the viscosity of the lubricant is not high enough, then the metal surfaces come into direct contact, leading to stress concentrations around the contact areas. In both cases cracks form on the surface of the material at the stress concentration points which leads to an accelerated rate of fatigue damage and, ultimately, shorter bearing life. The solution to this issue lay in the microstructure of the steel used to make the bearings and the heat treatment process. NSK has developed Hi-TF and Super-TF with a unique microstructure which is able to relax the stress concentrations on the edges of the indentations. These materials have a high volume of retained austenite and improved hardness when compared to conventional bearing materials. All of this innovation has resulted in greatly increased bearing life when operating in contaminated conditions. Based on customer requirements, NSK will suggest which material is right for the application . When compared to bearings made of ordinary carburised steel, Hi-TF offers up to seven times the expected life with contaminated lubricant, while Super-TF even improves on that by offering up to 10 times the expected bearing life with contaminated lubricant. Where the service life is reduced by insufficient lubrication, Super-TF can still provide around 5.5 times (4.7 times for Hi-TF) the life expected from a similar bearing made of carburised steel. However, results from a laboratory need to be proven in the field and NSK has been providing solutions to many industries including mining, steel production as well as cement production, all of which offer extremely harsh operating environments. Two recent solutions for the cement industry demonstrated the effectiveness of Hi-TF to resolve persistent bearing failures: the first, a screw pump conveying system and the second, a high temperature fan. In the case of the screw pump conveying system, a large angular contact bearing was suffering from contamination with cement dust. This resulted in wear to the bearing raceways and increased clearances to such an extent that the bearings had to be changed to avoid a catastrophic failure. NSK carried out a detailed site survey resulting in a recommendation to install Hi-TF bearings, which would provide increased resistance to the contamination as well as running quieter and smoother, while also offering increased shock load protection. In the second case, a cement plant was experiencing regular bearing failures on a fan that was operating at 150˚C. Typically, the plant maintenance team had to replace the original split bearings at least every 6 months, which was considered to be unacceptable. Examination by NSK of the original bearings showed that high temperature and heavy load were the root cause for the premature failure. NSK recommended the use of Hi-TF spherical roller bearings, mounted in plumber blocks and fitted with labyrinth seals - a combination capable of continuous operation at 200˚C under heavy load. The result was a cost saving for the plant of over €9.130 per year on the operation of the fan. 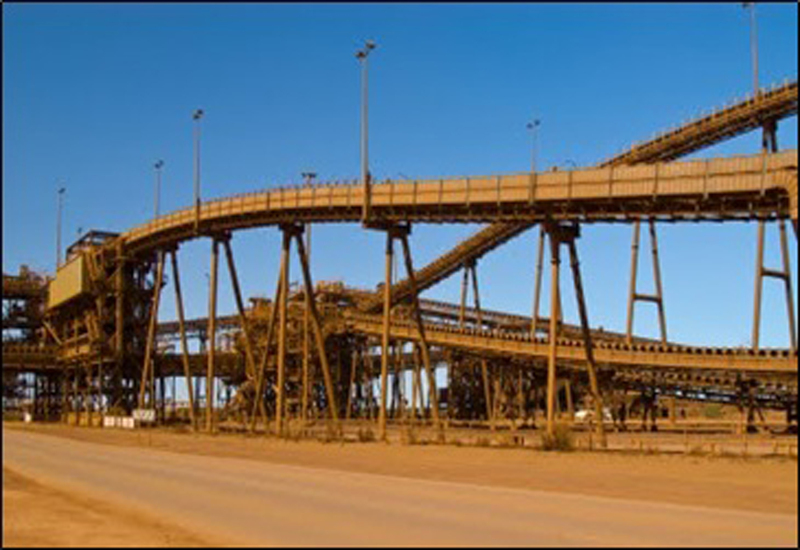 A further example of the benefits of these new materials comes from an Australian iron ore mine where a drive pulley on a critical conveyor would only survive for 6 months before replacement. Similar to the cement industry, the mining environment contains a lot of contaminants and in this case it was causing premature bearing failure to a critical component in the production line. The costs in lost production and additional maintenance led to a consultation with NSK Engineering. The result was a bearing design using Super-TF material, which offers an effective countermeasure to the wearing action caused by the contaminated lubricant. The result was impressive - with the operating life of the bearing increased by over four times that of the original design. Upon inspection of the bearing after two years in service, no signs of damage could be found, and so the bearing is continuing in service. Overall, with the reduced bearing costs, lost production costs and maintenance costs, the savings made in a 2 year period amounted to €118.500 - and that figure will only increase as the bearing continues to operate without signs of wear. NSK’s Tough Technology provides solutions for contaminated lubricant, however, NSK has also developed a solution for bearings that are located in places that are difficult to access and/or used in environments containing hygroscopic dust. Its Molded Oil technology can greatly improve the performance of bearings in terms of reliability and maintenance-free operation. In many cases, significant cost savings can be made by replacing more costly methods of plant lubrication. 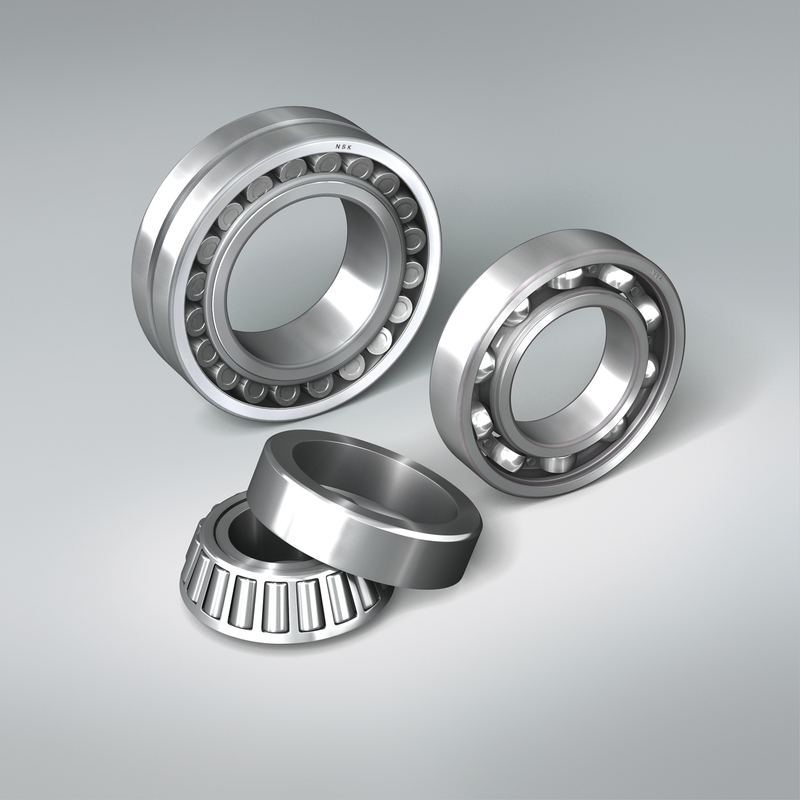 Molded Oil bearings use an oil-impregnated polyolefin resin to provide lubrication to the bearing. Although similar designs are used by other bearing manufacturers, NSK provides a lubricating oil content of more than 50 per cent by weight - considerably more than the competition. The technical characteristics of the material provide a consistent lubrication flow, which is temperature dependent, so as the heat generation increases, so does the oil discharge rate. Bearings using the Molded Oil technology provide a solution to loss of lubricant in bearings due to water ingress. They are ideally suited to many areas within cement production including pre-heaters, conditioning towers, fans, conveyors and precipitators. NSK is offering this technology on standard deep groove ball bearings and spherical roller bearings in outside diameters up to 250mm. Another key development by NSK is its Asset Improvement Programme (AIP), designed to add value by analysing customer processes and identify opportunities for improved efficiency, performance and profitability with bearing solutions. With a package of service tools (Service Spectrum), NSK can offer the right solution to the customer wherever the problem is located in the customer’s process. The programme provides technical support and knowledge to identify areas for improvement in the manufacturing environment. Or by starting with a site visit from NSK engineers we can gain a good understanding of the issues affecting the plant and identify areas where NSK can provide support. AIP looks at the business as a whole and can help to improve the working knowledge of the engineering and maintenance personnel, as well as making specific suggestions to improve reliability and efficiency within the production process. The overall aim is to provide solutions that can be documented and demonstrate substantial savings on cost and time whilst increasing efficiency.